Your Christmas tree deserves a fabulous tree topper... something whimsical and fun but elegant and stunning. 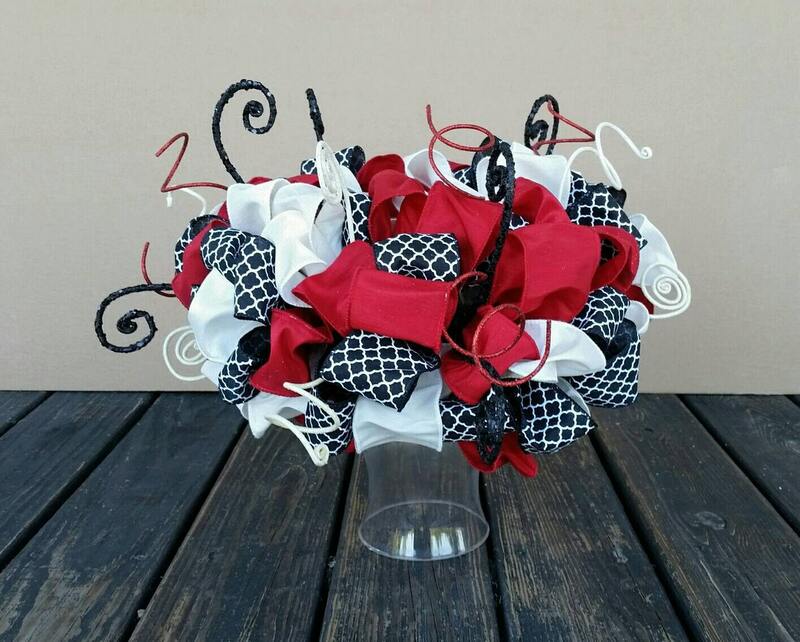 Our tree toppers are handcrafted from yards and yards of festive ribbon in bold reds, whites, and blacks . 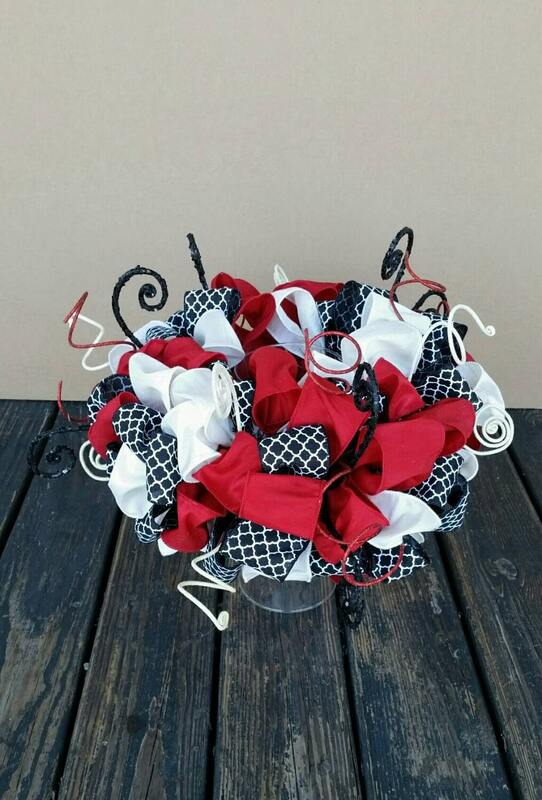 This topper isn't just all ribbon. 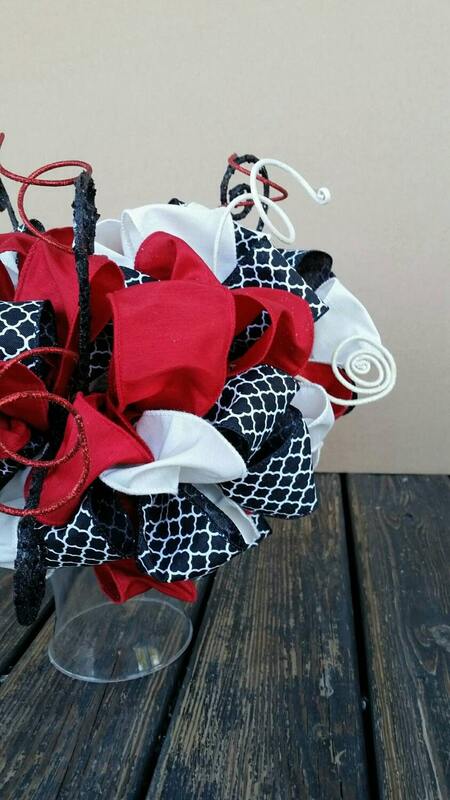 Glittered curls and twists in red, white, and black have been added for a bit of whimsy. This tree topper also doubles as a beautiful candle or hurricane lamp ring. 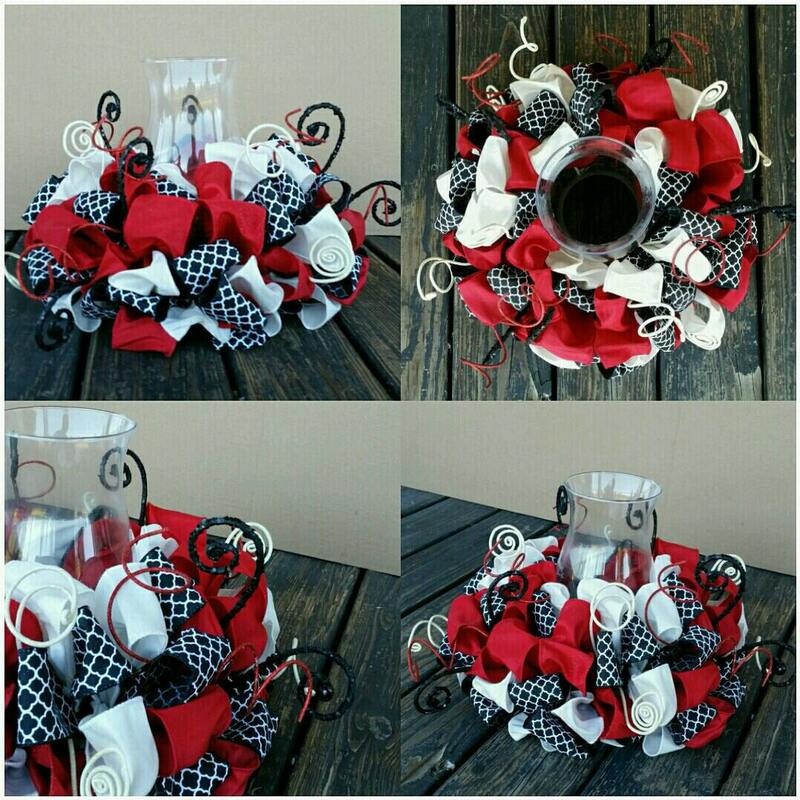 The center opening is 5 inches and perfect for a vase, candle, or hurricane lamp. It does not include the glass hurricane photographes. 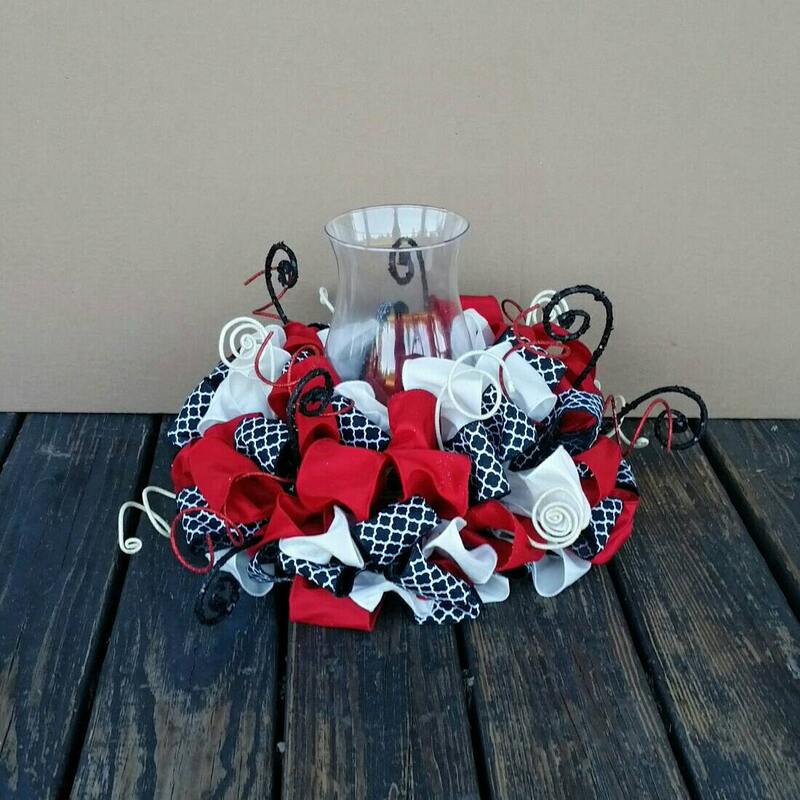 The topper/wreath ring measures approximately 19 inches wide and has a depth of approximately 14 inches (tip to tip). The center hole is approximately 5 inches in diameter.